"Why visit Costa Rica? 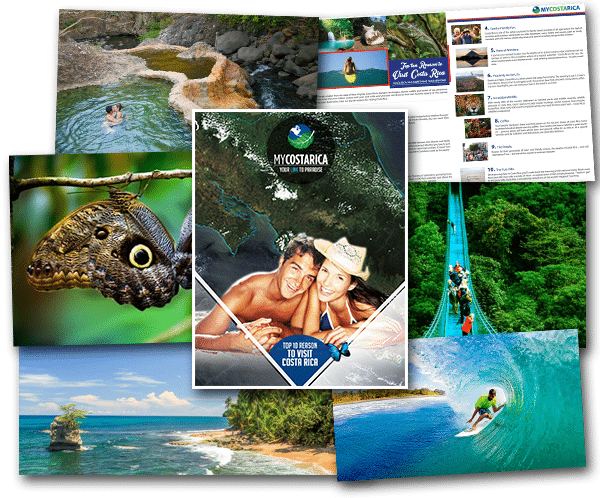 Find out with your free Costa Rica Travel Guide"
What’s inside the Top Ten Reasons Travel Guide? 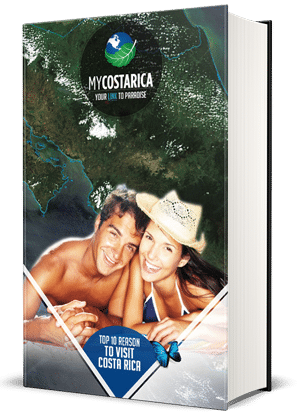 What reason do you need to visit Costa Rica? We have provided ten awesome Reasons to visit Costa Rica. There is only one reason needed but why not go further in depth to see what makes so many people come to the country of Pura Vida. It might be the Beautiful Flora and Fauna or maybe it is the friendly nature of people here. Who knows but all we know is people love to visit Costa Rica. They come in the thousands each year. If you need more reasons to take a vacation just read to the guide you are sure to be convinced. The amazing volcanoes, beaches, waterfalls, and rainforests are just some of the great parts of this beautiful country. Also, think of all the cool hotels and tours that will make your vacation that much better. We can help you build the perfect Costa Rica vacation. Your dream trip is just a few clicks away.